By coiling woolen cords around nails piercing through a wooden board, people can reproduce "Bull," Pablo Picasso's distinctive abstract masterpiece. Although a shortcut to facsimile classical arts is nothing special, an exhibition focusing on bringing art to everyday lives both through online and offline means, has narrowed the gap between high art and regular consumers. 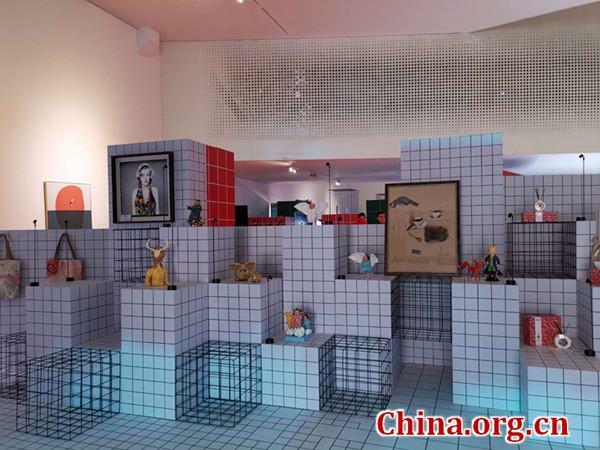 From March 29 to 31, Tmall.com, one of China's most popular e-commerce platforms owned by the Alibaba Group from Hangzhou, Zhejiang province, opened its first avant-garde art exhibition at the Enjoy Art Museum in Beijing's 798 Art Zone. It hoped that the brick-and-mortar gallery could draw more people and help them enjoy the artworks. 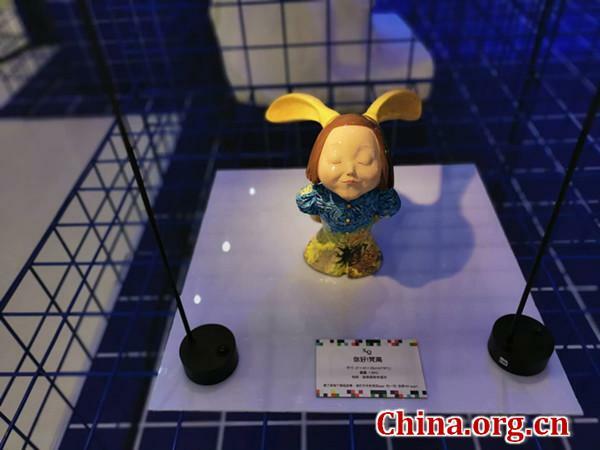 "The operations enable customers to appreciate the artistic items in the galleries and also purchase them online," said Chen Yue, the executive in charge of Tmall's home decoration sector. 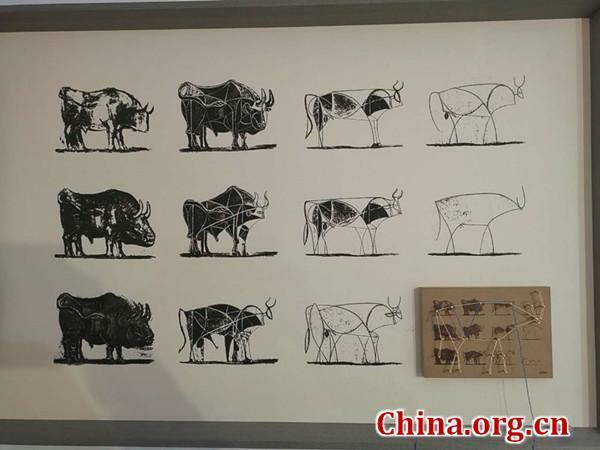 According to a report on online art consumption jointly released by the China Business Network (CBN) Data and Tmall.com on the first day of the exhibition, nearly 60 percent consumers said they were willing to buy art online. This is due to the numerous options online, which help consumers make comparisons. The report also found that mainstream consumers of online art are mainly those born in the 1980s and 1990s. Within this cohort, the people born in the 1980s generally favor traditional water paintings while consumers born in the 1990s prefer impressionism and modernism. Launched several years ago, Tmall Art provides an easy platform for artists, especially novices, to get their creations seen by potential customers. Tmall, with its already burgeoning online businesses, has recently made forays into the offline space in the hope of better integrating its online and offline channels and enhancing interaction between artists and customers. 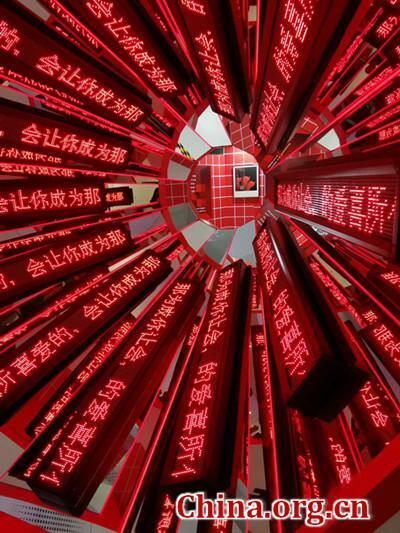 "This is a very distinctive exhibition in the history of the 798 Art Zone as all the artistic items here are also commodities," said Liang Shubin, CEO of Wallwa, an artistic home decor platform affiliated to Tmall.com. According to Liang, all the creations displayed at the exhibition are original but sell at reasonable prices. Focusing on home decor rather than collections, customers can also get their items once they scan the two dimensional codes and buy them online. Liang said the exhibition also catered to consumers' increasing need to participate in art creations. This is why the organizers displayed the string wire handcraft for visitors to experience and create art using their own imagination. This artwork featured a big board pinned to the wall and embedded with nails. People could thread different colored cords to create different designs. This, according to Liang, is a salute to the Memphis genre. In addition, there were also copies of the cover pages of Life magazine, one of the United States' most influential weekly magazines which stopped publication in 2007. While commenting on the purpose of the exhibition, Liang sad, "We hope that people can understand that e-commerce platforms are not only for selling clothes, shoes, suitcases or bags, but can also explore and broaden one's vision and be used for an even greater influence."